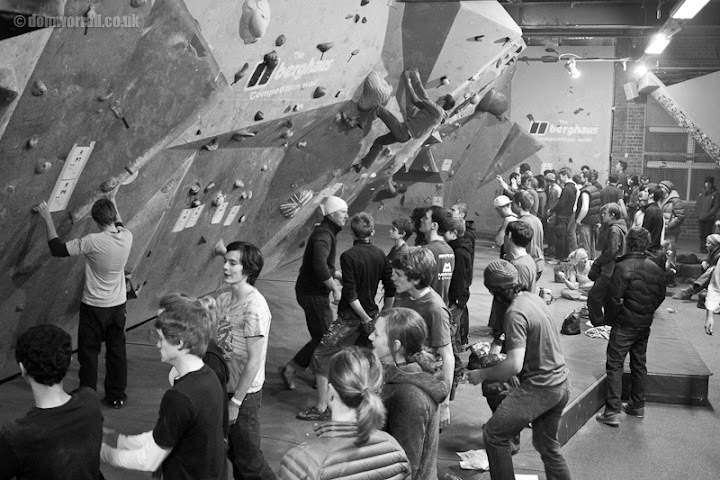 Climbers are known to be a suspicious lot so it was rather a surprise to see a massive crowd of competitors at Round 3 of the Evolv Bouldering League that was held on Friday 13th January. 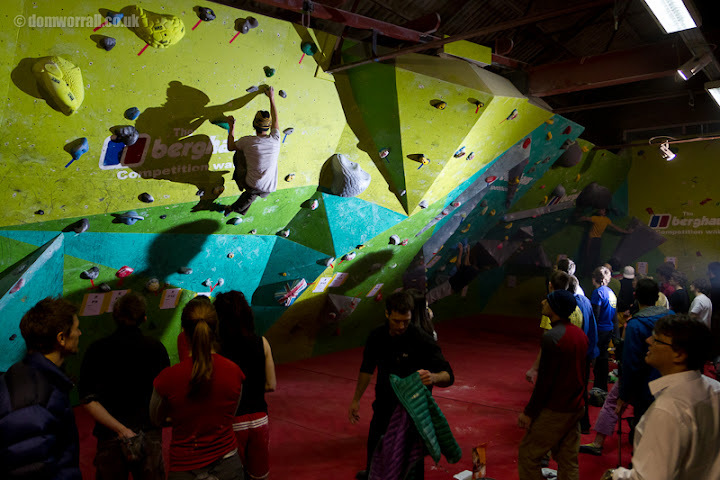 The only unlucky thing that occurred for any competitor was the realisation that Percy & co had set a rather hard set of blocs for this round. Dave Barrans did his usual thing of turning up and basically flashing nearly all of the problems leaving every one else wondering what other excuse they could make as the bloc was no longer impossible....nor was it sizest. 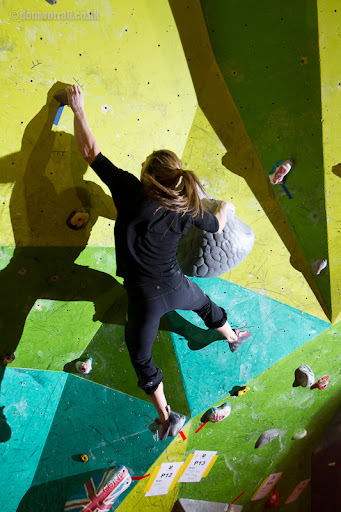 Dave cruised the mens cash problem and would have walked away with the £125 cash if it wasn't for that pesky American Alex Puccio. Alex dispatched both the Men's & Women's (supposedly a harder bloc than the Mens) cash problems and walked away with a tidy sum to spend on her travels home.